It is one of my biggest annual challenges: finding a good quality, authentic Golden Monkey and this one is it! It is complex with deep cocoa notes both on the dry nose and in the lovely dark amber liquor–giving two delicious infusions. 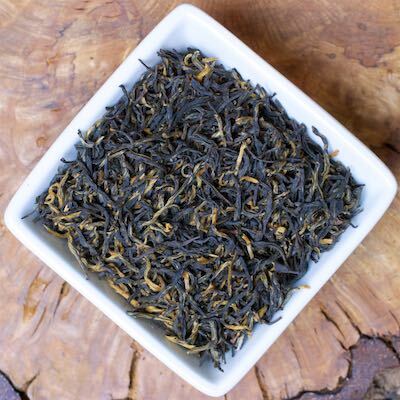 Golden Monkey is considered a Panyang congou tea and is traditionally from Fujian Province in mainland China. I have many fans of this hard to find tea so spend extra time each year to find the best possible available.